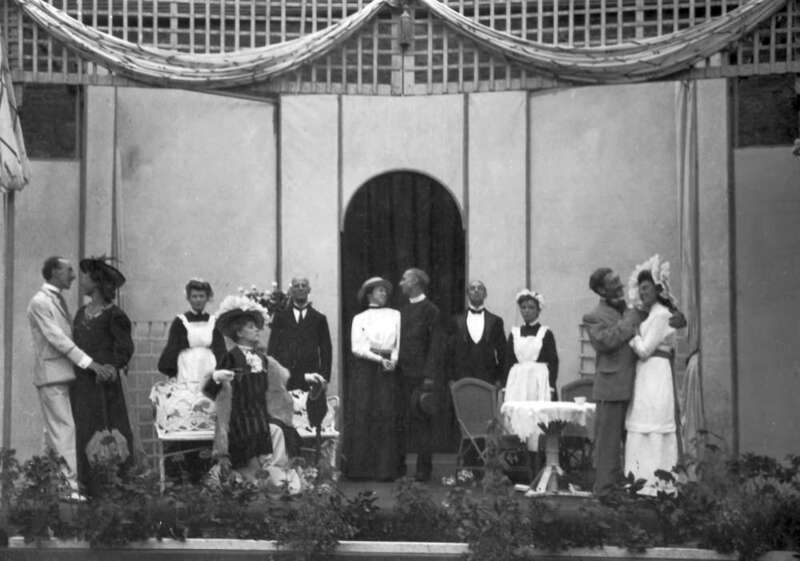 This was the second production the Northampton Drama Club performed in the open at Abington Park, Northampton (though the Courtyard was not used as it was later). As a consequence of the Second World War, fuel supplies were scarce and non-essential travel was discouraged. An official attempt to persuade civilians to conserve fuel was the ‘Holidays at Home’ campaign during 1942-3. Local authorities drew up a programme of summertime events. In Northampton the Borough Council engaged the help of the Northampton Drama Club. The play was directed by Tom Osborne Robinson who was also an artist and set designer at the Royal Theatre (AKA "the Rep").